We LOVE pizza at our house! I mean, come on now, who doesn’t?? I am always trying to find ways to make our family pizza night not so guilty but also fast and easy to make. I like to spend time in the kitchen, but realistically, I don’t have a lot of time TO spend in the kitchen. 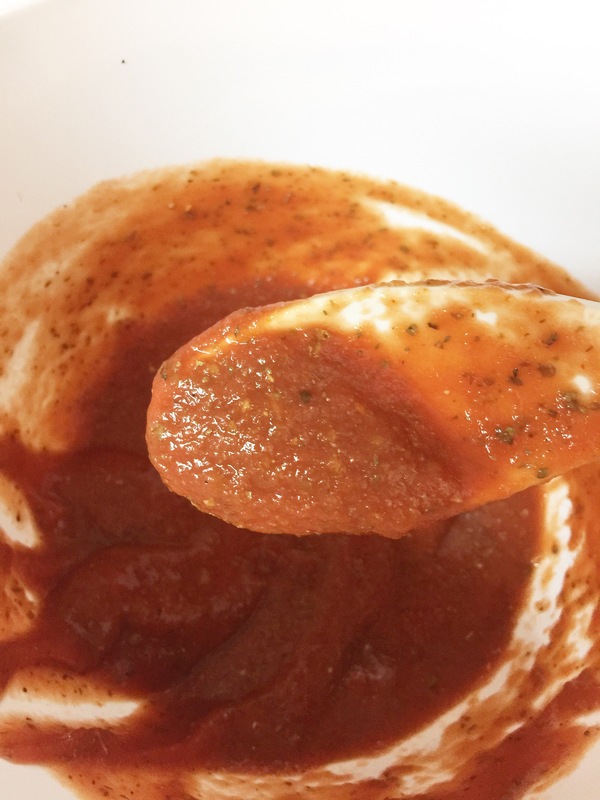 So I came up with this pizza sauce that we really like at our house. This pizza sauce is amazing! Give it a try and let me know how you and your family like it. 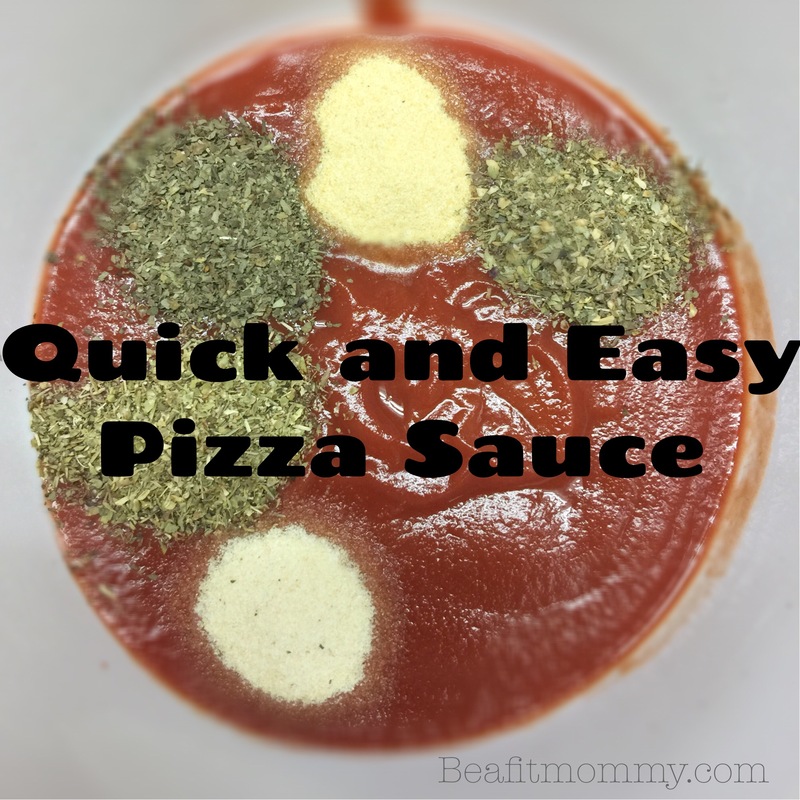 Want to know how to make this Quick and Easy Pizza Sauce?? Dump and the ingredients in a bowl and stir it up. THAT’S IT!! Sound to easy to be good? Well it’s not! Oh man, this made the pizza SO GOOD! And I’ll tell you something, my 5 year old is a super picky sauce eater and he loved it! That is saying something! 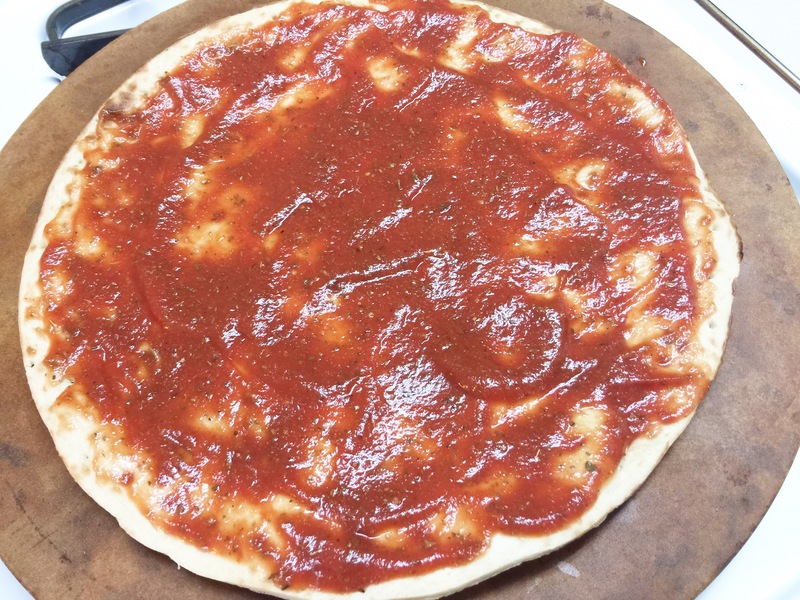 After I mix up the ingredients I spoon the sauce on my pre-made pizza crust and add my toppings. This is an organic wheat flour pre-made pizza crust that I really like to use. My kids and husband like it too! Total Core Workout– FULL 15 minute Core workout! !